Catherine is a founding partner of the Temenos Center, where she has worked with individuals, couples, and families to facilitate change, growth, and healing since 2001. She received her MSS from Bryn Mawr School of Social Work and Social Research in 1993. She was a counselor at the University of the Arts in 1993-94 and on the staff of the Renfrew Center, a national leader in the treatment of women with eating disorders and other mental health problems, from 1994-2001. She was Assistant Clinical Supervisor in the Outpatient Department at Renfrew from 1997-99. In addition to helping women and girls who struggle with eating disorders, Catherine has an interest in supporting those whose experiences may have resulted in symptoms of post-traumatic stress move toward recovery and healing. Catherine particularly enjoys working with couples of all orientations and has participated in a number of trainings to enhance her skills as a couples’ therapist, including Imago Relationship Therapy. She finds few things more rewarding than helping a couple develop greater love, safety, and satisfaction in their relationship. Catherine is currently pursuing further training in issues relating to sexuality. Catherine also has long term interest in the connections between creativity and healing and is exploring the use of various kinds of writing, including journaling, in the healing process. She is a graduate of New Directions, a 3-year program combining the study of psychoanalysis and writing at the Washington Center for Psychoanalysis. Catherine has also participated in several semesters of seminars focused on various aspects of Object Relations theory and therapy. 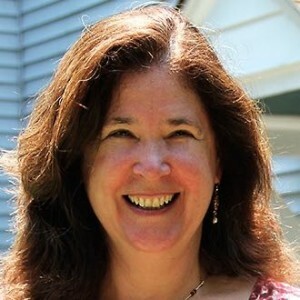 She has written a paper about the false self that has been included in the publication The Renfrew Center Foundation Working Papers, and has presented seminars on working with adolescents, body image, and eating disorders. Her work has also been published at psychotherapy.net, where she also contributes to their blog.